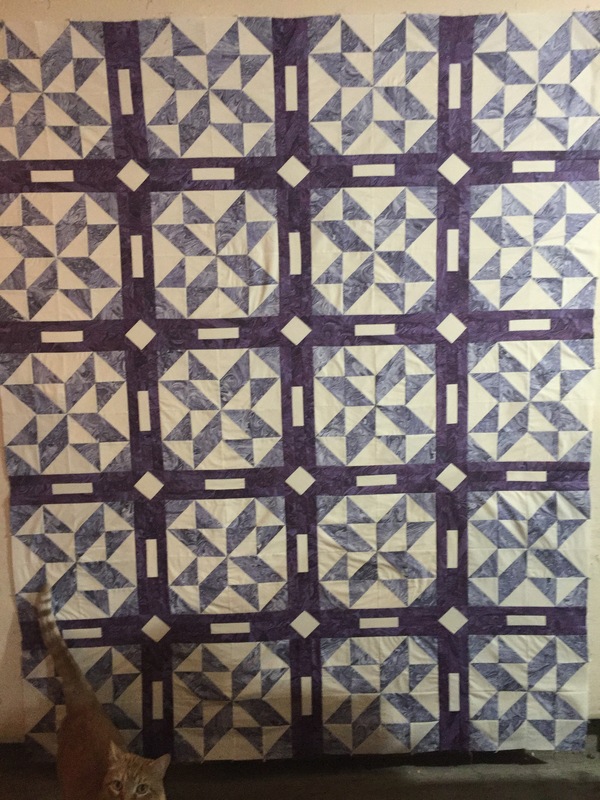 Actually my design wall is bare at the moment………I made a quilt last week using our Triple Play pattern. Here it is without the borders added on. I used two different marbled fabrics from The Quilted Treasures line. 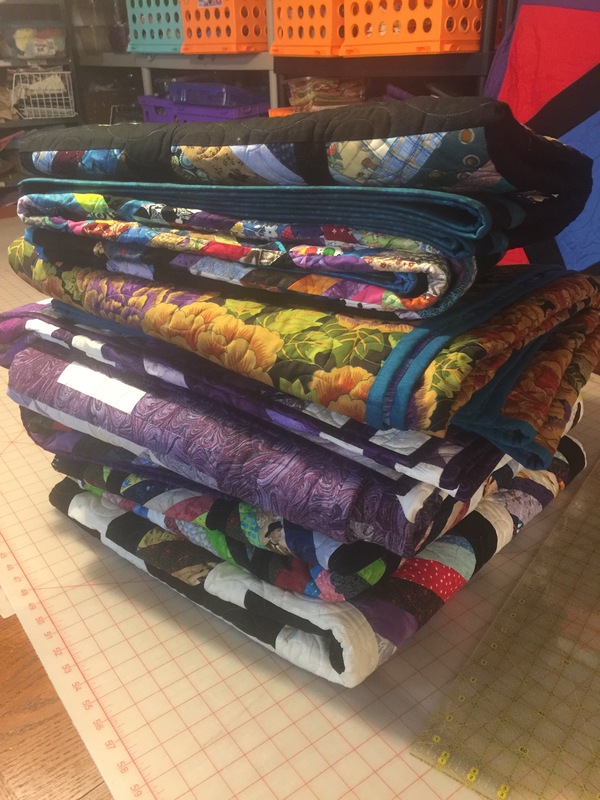 It’s now finished, quilted and in the stack of bindings that I need to finish. I usually try to finish the bindings before the stack gets out of hand but this time they got away from me! I have 8 that are ready to sew the bindings down. So nothing is on my design wall this week. But there’s plenty on my plate. Bindings…….